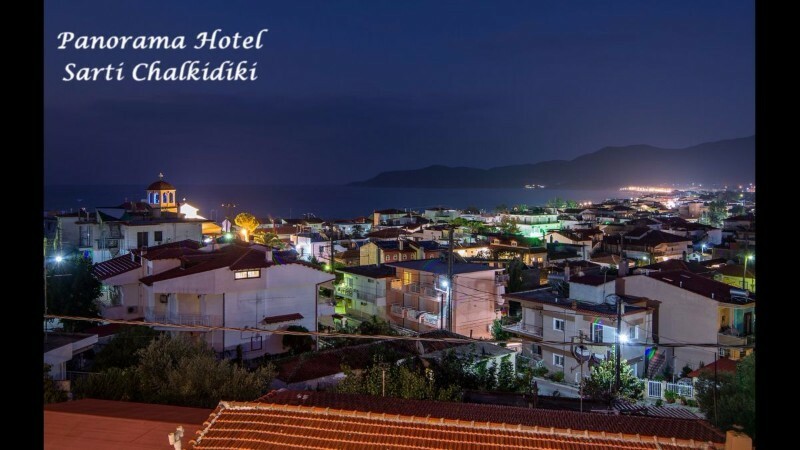 Our hotel is situated near the center of Sarti village and its beautiful sandy beach. 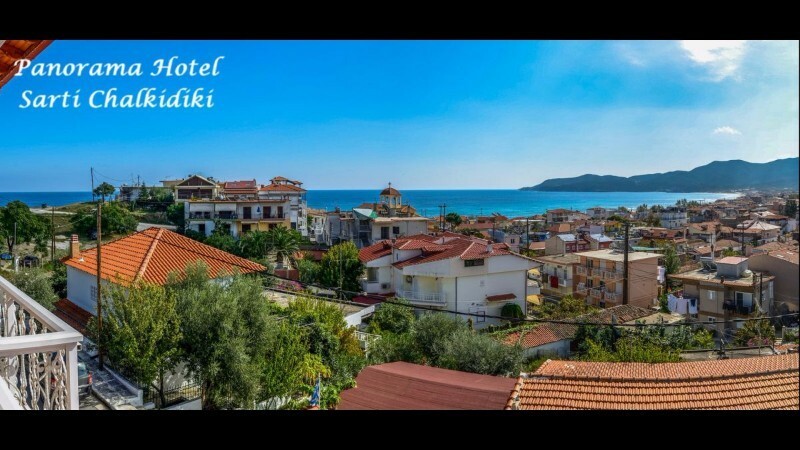 (100 m from the center 200 m from the main beach). 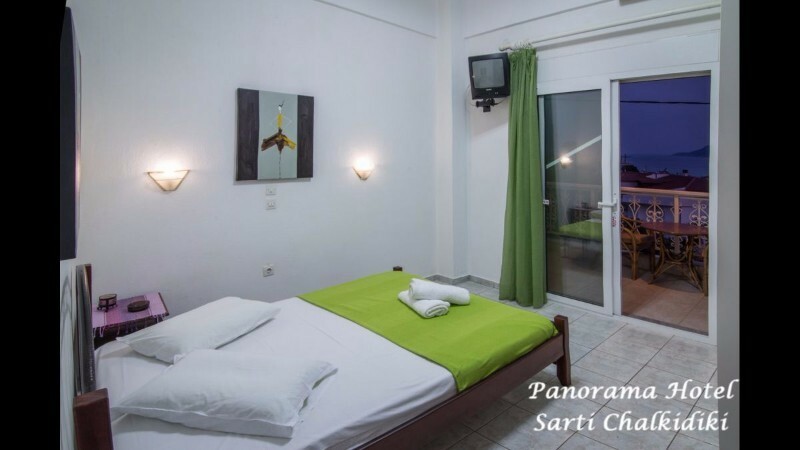 In the hotel we offer 2-3 beds studio and 4 beds apartments. 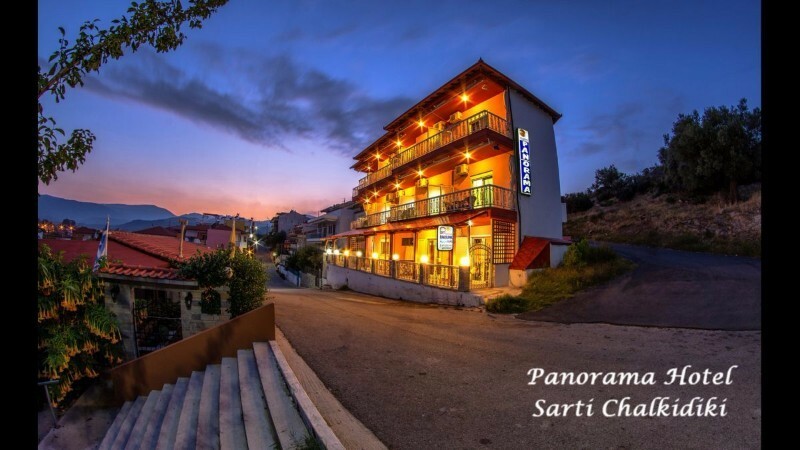 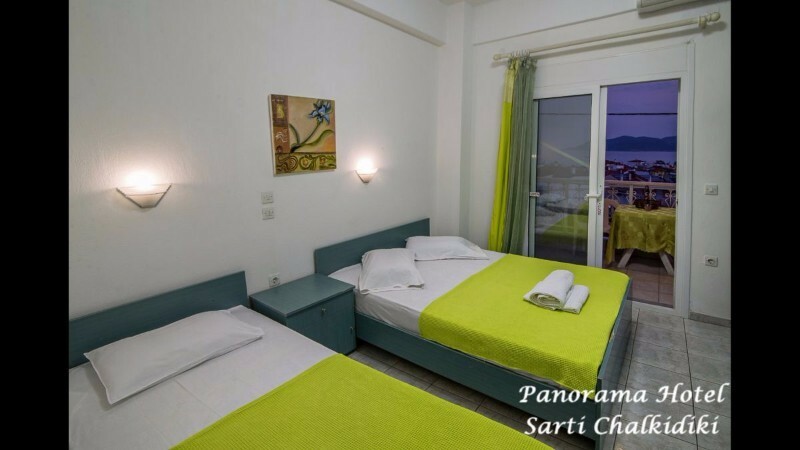 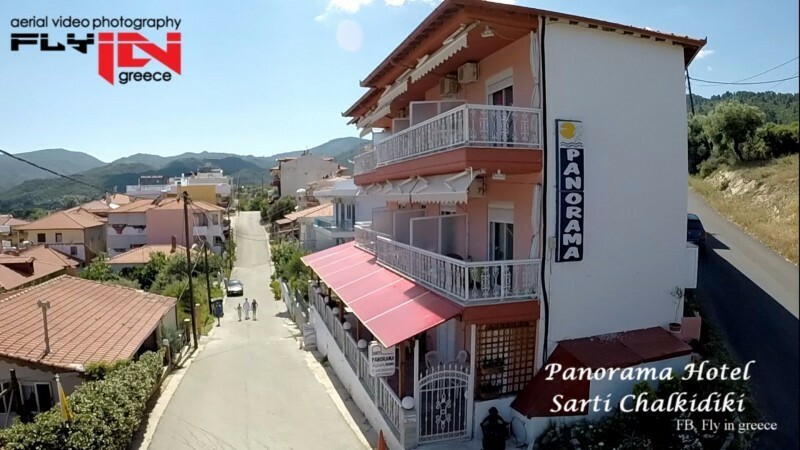 From our rooms you can enjoy the panoramic view of the sea, Sarti village, the imposing and impressive mountains, fact that justify the name of our hotel PANORAMA.